Hey dears, are you ready to create a blog for free and earn money without knowing HTML/CSS any coding (If you know, it has advantages)? Before starting let's touch some important points. Blog: A blog is an online place (website) where anybody can post their content (text, image, video etc.) to show others. It has a domain (name of the web address) like (www.compromath.com) to help the audiences and search engine to search and browse. To control blog, it needs content management system (CMS) such Wordpress, Blogger, Drupal etc. And CMS is hosted on which machine is called server. Example: Blogger CMS is hosted by Google's own server and it is fully free and very secured. Blogging: Posting on blog regular is called blogging. Blogger: Who writes or blogs is called blogger. Read: 5 Ways to Make Money From Blogging. Do you know Jennifer Baritchi and Dan (Husband & Wife) had left their days jobs? Because they have been started blogging on their own BlogPress and have made a lot of money with blogging and affiliate marketing. Hostgator and BlueHost are the major affiliate programs they promote on BlogPress. They also provide paid services. Blogger, Wordpress, Tumblr and many others offer free sub-domain with free hosting. But choosing the best blogging platform is a big challenge. 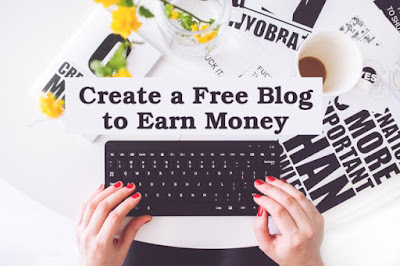 Most professional and successful blogger suggest to choose Wordpress or Blogger and among those Blogger is the most recommended for beginner and who wants to create a free blog to make money. To create a free blog on Blogger, you need a Gmail account. For Wordpress, you have also needed an email. Learn how to set up custom domain on Blogger. The default blog's theme may not attractive to readers of your blog. So you should install professional look theme. If you have determined to create the blog on Blogger, download and install the simple but responsive Blogger templates free. Learn how to install blogger templates. After creating the blog you have to set up some basic settings. For blogger user, the basic settings tutorial. Keep some basic pages on your blog such as about, contact, terms and condition, Sitemap etc. You can do it by creating a new page from blogger dashboard. Write posts and publish: Remember, only useful and effective content will bring more readers. More readers will help you to generate more revenues. Most beginner bloggers don't follow this step so why they don't reach their goal and give up blogging. If you try to make money from blogging, you must follow the effective SEO tips. To get more output from your blog, you need to make your blog SEO friendly. By optimizing you can do it. Putting advertisement is one of the most popular ways to generates revenues from blogging. Google AdSense is the most trusted and popular Ads publisher. It pays an amount per 1000 impressions and per click. Learn how to get Google AdSense. Google AdSense is not only one, there are many alternatives like Media.net, BuySellAds etc. are available. It is a great way to generate more money from blogging by promoting products of affiliate programs. Amazon, eBay, HostGator, BlueHost, Godaddy are the most popular and recommended by the successful affiliate marketer. Before starting affiliate marketing you should have much concept how to deal with your regular readers and what kind of product they expect from your blog. Though it is unknown and unbelievable that someone will pay you to publish a post on your blog. But it is possible and well known to experienced blogger. Selling products and services: You can easily sell your digital products (Content, web template, email template etc.) 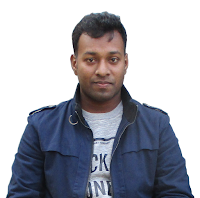 and provide services (Web Development, Design, Graphics, Content making etc.). So don't late to create a blog. Keep believe in heart, you will be succeeded.